Didn’t think the Raspberry Pi could get any better? You’re in for a big surprise! 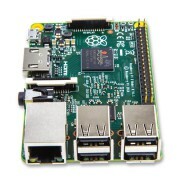 The Raspberry Pi 2 Model B is out and it’s amazing! With an upgraded ARMv7 multicore processor, and a full Gigabyte of RAM, this pocket computer has moved from being a ‘toy’ to a real desktop PC! The big upgrade is a move from the BCM2835 (single core ARMv6) to BCM2836 (quad core ARMv7). The upgrade in processor typesmeans you will see ~2x performance increase just on processor-upgrade only. For software that can take advantage of multiple-core processors, you can expect 4x performance on average and for really multi-thread-friendly code, up to 7.5x increase in speed! That’s not even taking into account the 1 Gig of RAM, which will greatly improve games and web-browser performance! Please note: The processor has completely changed on the new RaspberryPi 2, instead of a ARM v6 core chip (arm6l) the BCM2836 has been upgraded to an ARM v7 core which is a much more powerful core. However, your existing Raspberry Pi SD card images may not work because the firmware and kernel must be recompiled/adapted for the new processor. If you have a Raspberry Pi 2, and you are trying to upgrade your existing SD card, you will need to upgrade your installation. To do that, log into your Pi 1 and at a console or terminal type in sudo apt-get upgrade to perform the upgrade procedure. You’ll need your Pi to be on the Internet to do this. 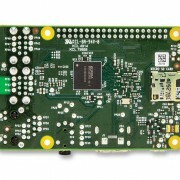 Once upgraded, the card will work on both Pi 1 and Pi 2 computers. If you have any pre-compiled binaries that you are downloading, those may need updating too, in order to take advantage of the speed increase. Anything where you have access to source code can be recompiled and ought to work just fine.